The most colourful (and Instagram friendly!) 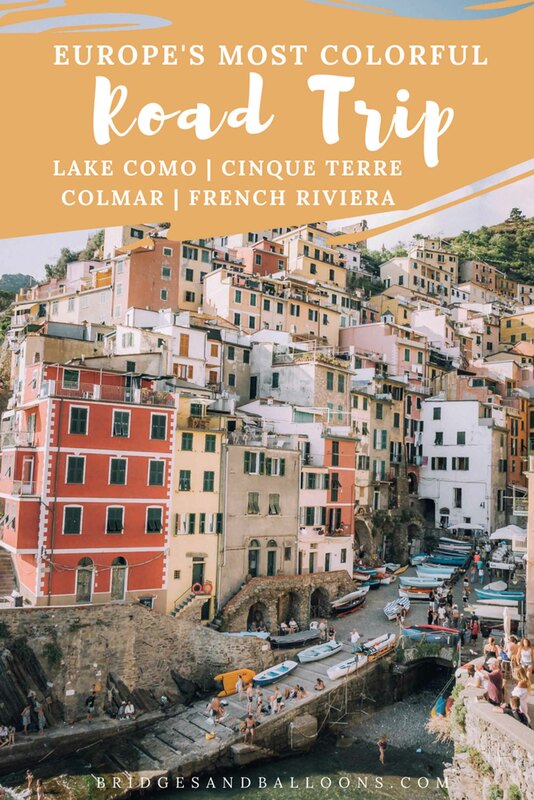 road trip in Europe, taking in Colmar, Lucerne, Lake Como, Cinque Terre, Portofino, St Paul de Vence and the French Riviera. In April, Steve and I treated ourselves to a dream road trip in Europe. Tired of trying, at the time unsuccessfully, for a baby, we decided that a beautiful jaunt was the desired tonic. A month later, we got our positive test back, so perhaps it really was just what we needed! But fertility magic aside, this trip was truly special, and if you’re looking for a european road trip, I think it’s one of the best. 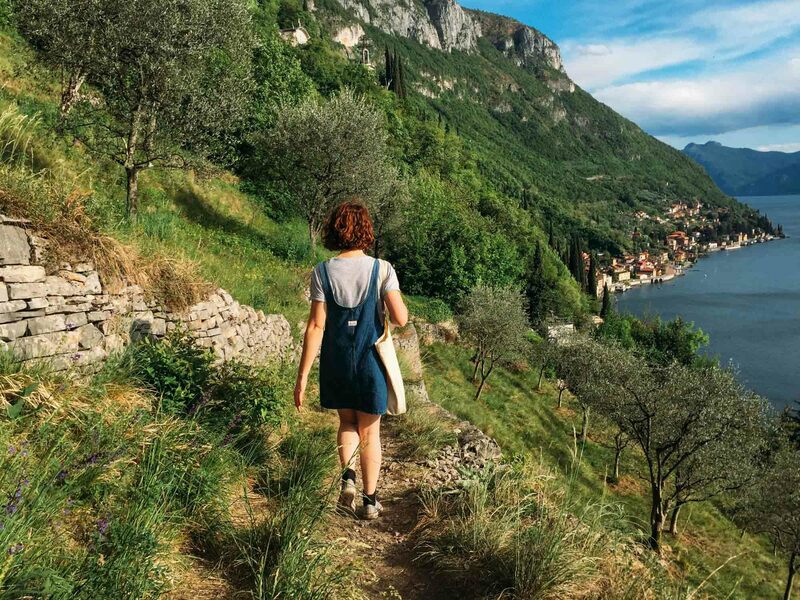 Taking in three countries and stopping in some of Europe’s most colourful villages, the 10-day trip is packed with charm, beauty and some seriously excellent food. Here’s all you need to replicate it, including where we stayed, what we did, where we ate, and how much it all cost. Like I said, I think it’s one of the best road trips in Europe. This trip was an indulgence. I’m not talking £500-a-night five-star rooms, but most of the places we stayed cost over £100 per night and averaged around £140. We saved money in a few places, but tended to prioritise comfort and location over price. 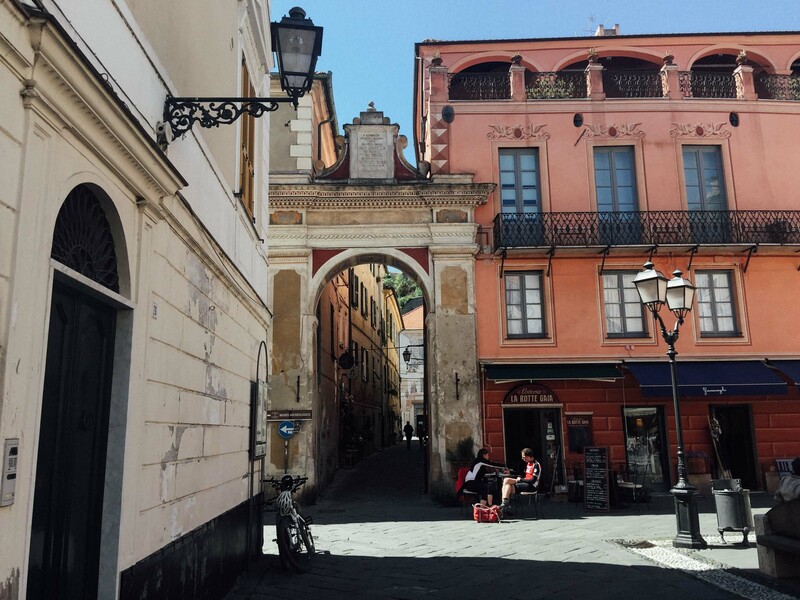 There are certainly ways we could have done things more cheaply, for example by staying in La Spezia and visiting Cinque Terre on day trips rather than staying in one of the villages. But we really wanted to be there day and night. 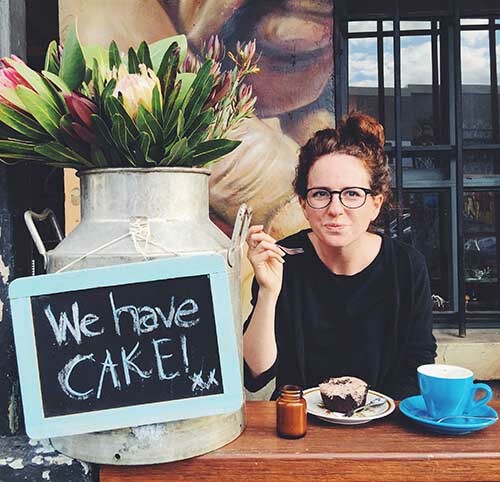 If you wanted to copy this itinerary, but on a smaller budget, then the easiest way to do that would be to stick to the same route, but choose cheaper accommodation and not eat out for every meal. Overall, the trip cost roughly £2,500 for the two of us, including accommodation, flights and food. We hired a car for the whole duration of our trip, and as we started and ended in France, it meant we didn’t have any issues with hiring a car for multiple countries. As usual, we booked using the site Rentalcars.com as as it’s where we’ve always found the cheapest deals. The hire for this trip cost £237 for 10 days. It’s important to take into account parking charges, which can soon add up. It’s really helpful if your accommodation has free parking, but we only had this in two places (St Paul de Vence and Lucerne). We had to pay parking charges everywhere else, which sometimes amounted to £15 per day. We flew to Basel from Bristol (flights were £56 each), and got the train back to London from Marseille via Paris, which cost £125 each. 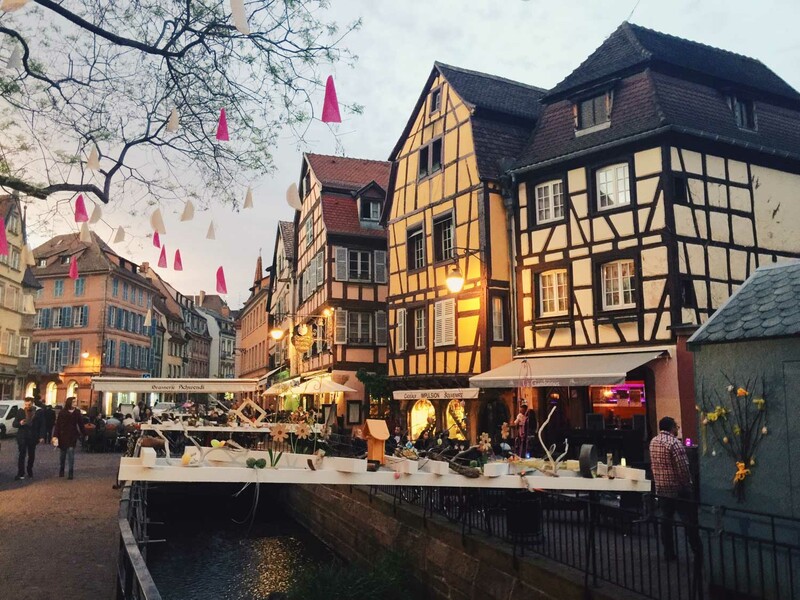 I became obsessed by Colmar after seeing it fill up the pages of my Pinterest and Instagram feeds. The colourful little town looks like it’s straight out of a fairytale, with cobbled streets and canals winding past pastel-coloured homes. The most pretty part of town is the aptly named Little Venice, but walk around any of the old town and you’re bound to be charmed. It’s also filled with lots of cute boutiques and restaurants. We had two nights there, which is enough time to explore Colmar, and also allowed us time to hire bikes and cycle to Eguisheim, an even cuter nearby village. We hired out bikes from Colmar Velo, which cost €12 for half a day. 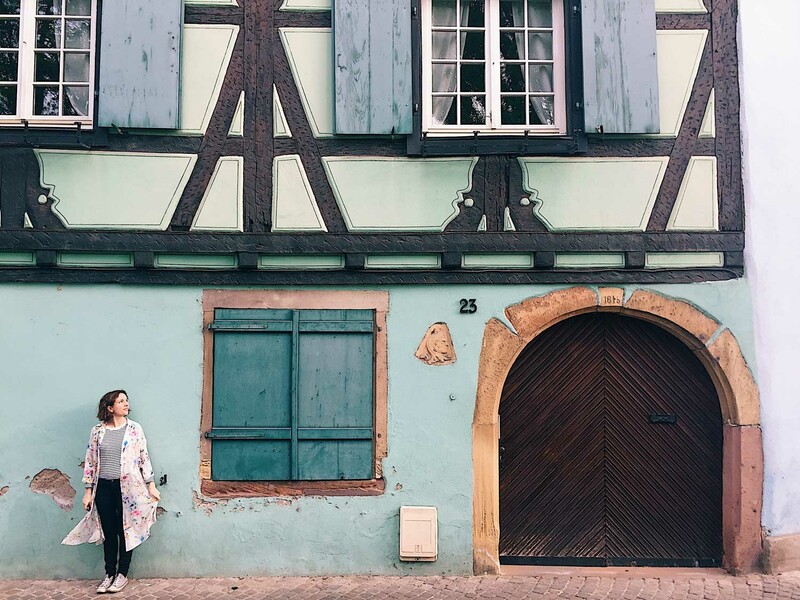 I’ve written a post filled with photos from Colmar and Eguisheim, which also includes more details of our bike ride. We didn’t stay anywhere special in Colmar, but did make sure we were in walking distance of the city centre. Our AirBnB apartment was cute and well-priced but the bed was pretty uncomfortable. The location made up for this, so overall I think it’s a good option. The room cost £50 per night including all service and cleaning fees. If you book using this link, you’ll get £25 off your first booking. 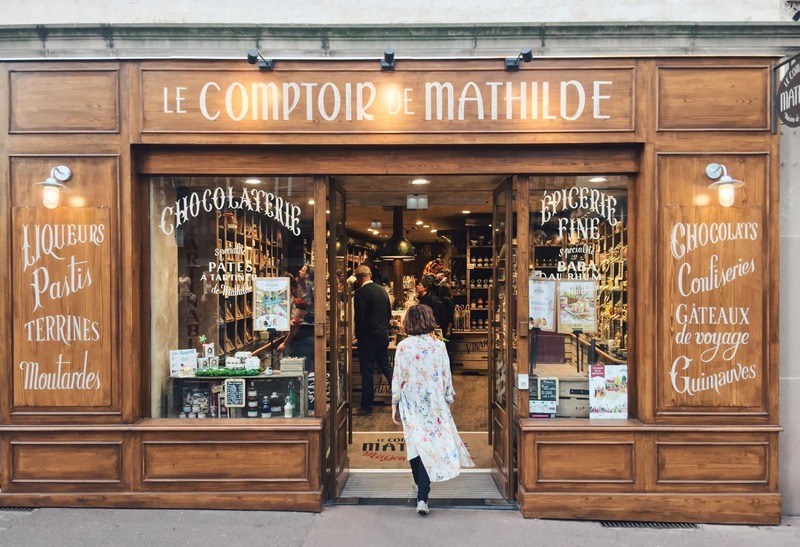 France is notoriously bad for vegetarians, but we did find a couple of good options in Colmar. One was a cute wine bar called L’Un des Sens, which was recommended by Simon and Erin from Never Ending Voyage. It’s in an atmospheric position, set back from the street at 18 Rue Berthe Molly, and the bar’s licence means you have to order a small snack with your drink (they had a great selection of veggie dips, cheese and bread). We also enjoyed a very good lunch in the garden of L’Arpege organic restaurant, which has a daily set lunch menu, including veggie options. We flew into Basel and got a bus from there to Colmar, which cost €9.90 with FlixBus and took one hour 20 minutes. We didn’t hire a car directly from Basel because, by getting one in Colmar, it meant we were hiring and dropping off the car in the same country. We also didn’t need a car for our first two days in Colmar, so this saved some money. Everything within Colmar is in walking distance and we hired bikes to get to Eguisheim. 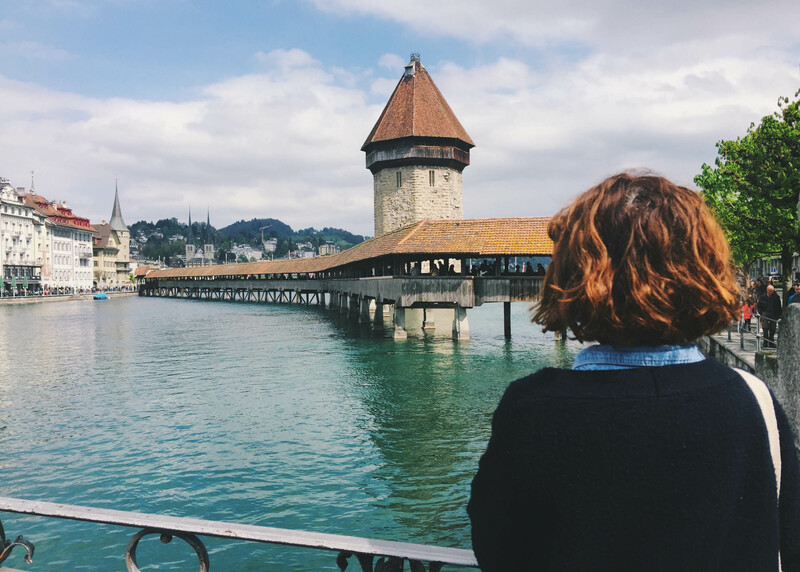 Lucerne is another place that captivated me from other travellers’ photos. The cobalt lake, surrounded by mountains, is a gorgeous setting for the well-preserved old town, which includes charming covered bridges, turreted houses and pretty waterfront promenades. The best views of the town can be found from the city wall’s towers, and you get a good view of the historic Kappel Bridge from Seebruecke, the neighbouring bridge that runs to to the railway station. During our afternoon there, we simply wandered around, walked the city walls and visited the Kappel Bridge. 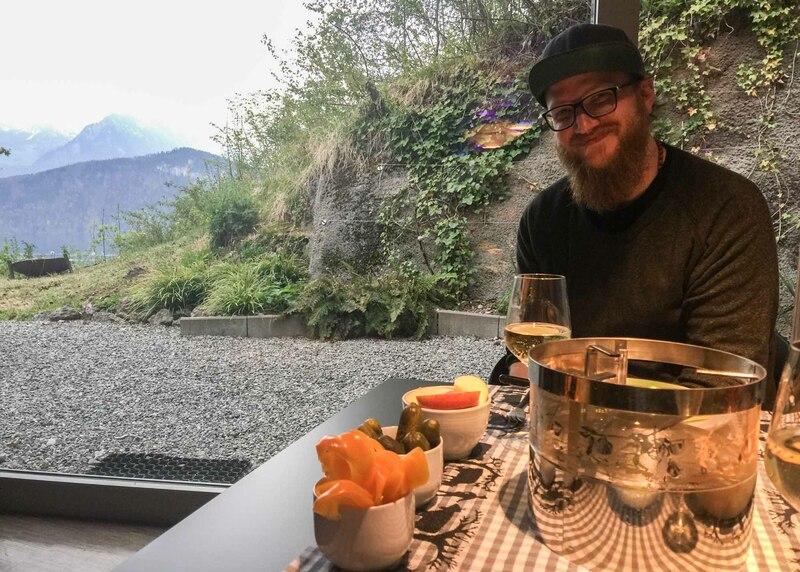 The town certainly deserves more time than that, but we enjoyed our little taster, and chose to spend the rest of our afternoon and evening in the surrounding countryside in a little place called Weggis at an amazing house detailed below. 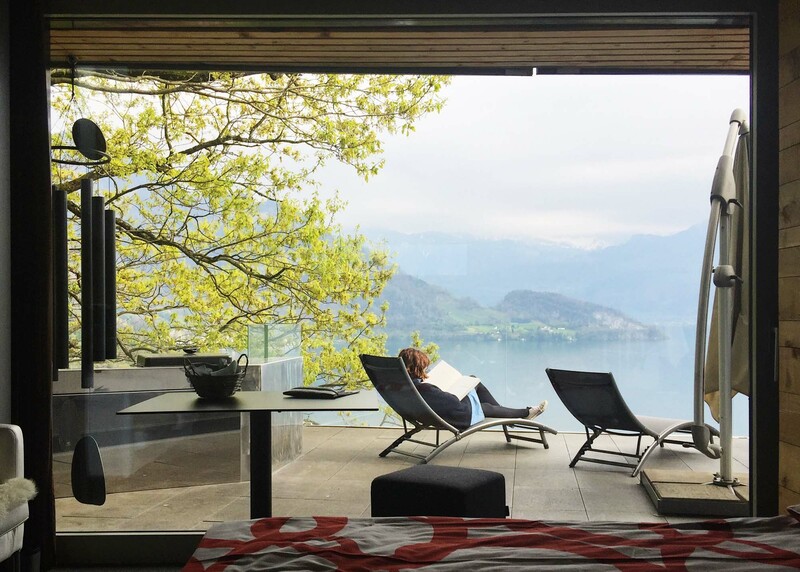 We stayed in an incredible apartment in Weggis, just outside of Lucerne. It’s owned by an architect who also has his own home and office in the same building. Overlooking a lake and hid among the trees, it was a truly special stay. Make sure to ask for a room with a lake view as it’s definitely worth the extra money. There’s a huge shared kitchen and balcony, and you can also request for a private fondue dinner to be cooked for you, which we highly recommend. It goes down as one of my favourite places we’ve ever stayed. Rooms cost from £140 per night. If you book using this link, you’ll get £25 off your first booking. 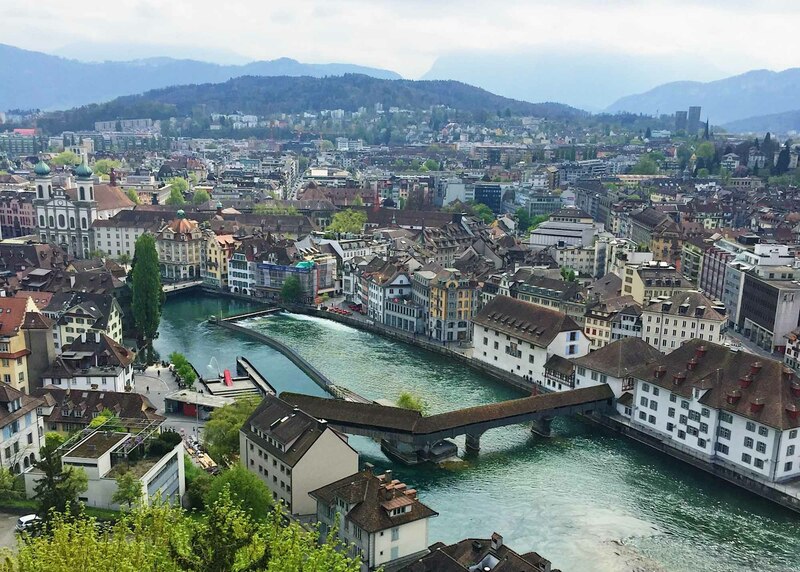 Switzerland is expensive and Lucerne is no exception. We struggled to find a reasonably priced meal, but ended up finding a great option in the train station called Tibits, a vegetarian buffet restaurant that charges by weight. We’re already a fan of the London branch, so were happy to try it in its native country. The food is delicious and you can avoid spending too much by opting for lighter food! In the evening, we ate fondue at our hotel. The drive to Lucerne from Colmar took 2.5 hours, passing through Basel where we stopped for a coffee. In Lucerne, we paid for parking on the street when climbing the walls, which cost €2.50 per hour. And when we explored the town, we parked in a centrally located car park called Parkhaus Altstadt, which costs around €3 per hour. Our overnight parking in Weggis was free. Lake Como is one of my absolute favourite places in Italy. I was first enchanted by it about nine years ago when Steve and I were blown away by its beauty during a romantic break away. We’ve dreamed of it ever since and grabbed the opportunity to return. Both times, we stayed in Varenna, which is our favourite of the lake’s main towns. 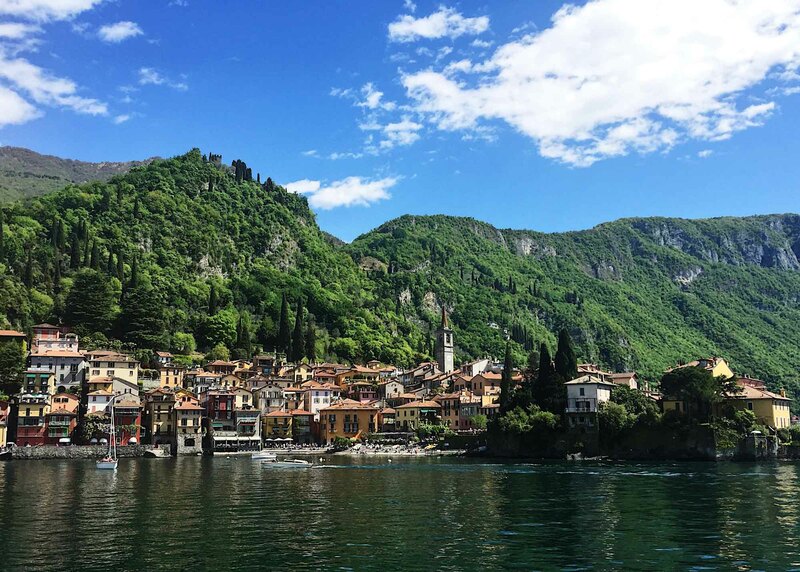 It’s quieter than Bellagio and prettier than Menaggio, and has a romantic atmosphere with narrow, flower-filled alleys and a beautiful waterfront promenade, perfect for watching the sunset. 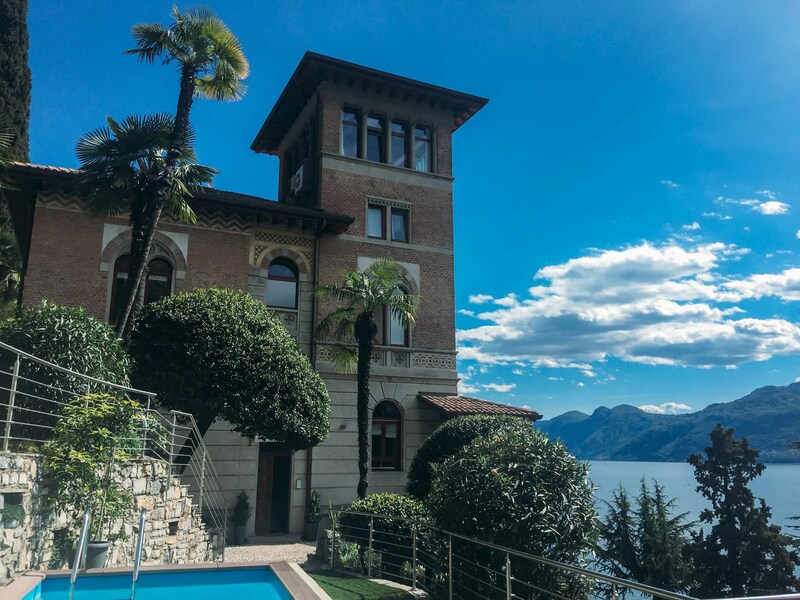 While in Varenna, the biggest joy is simply enjoying the gorgeous setting, but it’s also worth visiting the historic Villa Monestero, and climbing up the hill to Castello di Vezio for brilliant views across the lake. Varenna is also an ideal base for visiting Bellagio and Menaggio, which are only about 10-15 minutes’ away by ferry. In Lake Como, we stayed at the gorgeous Villa Monti, which overlooks the lake and is just a few minute’s walk from central Varenna. 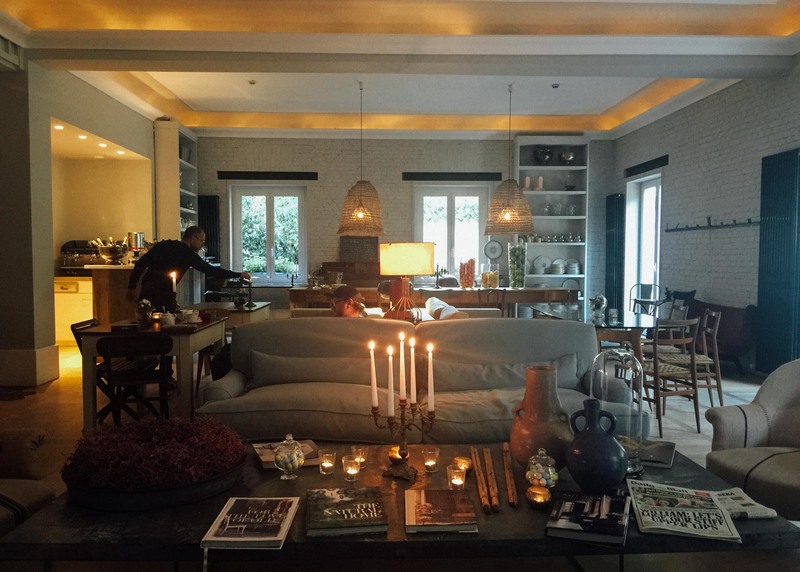 It’s a classic Italian liberty villa that’s been refurbished into luxury apartments. We stayed in the simplest one – Peony – and even that was lovely with a window view of the lake. But if you wanted to go all out, you could opt for one of the rooms that has its own balcony. There’s also a pool, perfect for relaxing beside while enjoy the magnificent views. Our studio apartment cost £140 per night. Use this link to get £20 off your first booking with Booking.com. First of all, don’t miss La Passerella, the gelato shop on Varenna’s waterfront that does the best chocolate sorbet I’ve ever tasted. It’s also worth trying to get a table outside Caffe Varenna at sundown, which is the perfect spot for an Aperol spritz and some time people watching and enjoying the view. For dinner, I recommend Il Cavatappi, which has wonderful home-cooked food that’s best enjoyed on one of the outdoor tables. And there’s also a great family restaurant just outside of Varenna, called Il Caminetto, which also does cooking lessons. They can arrange pick-up and drop-off for you from Varenna. 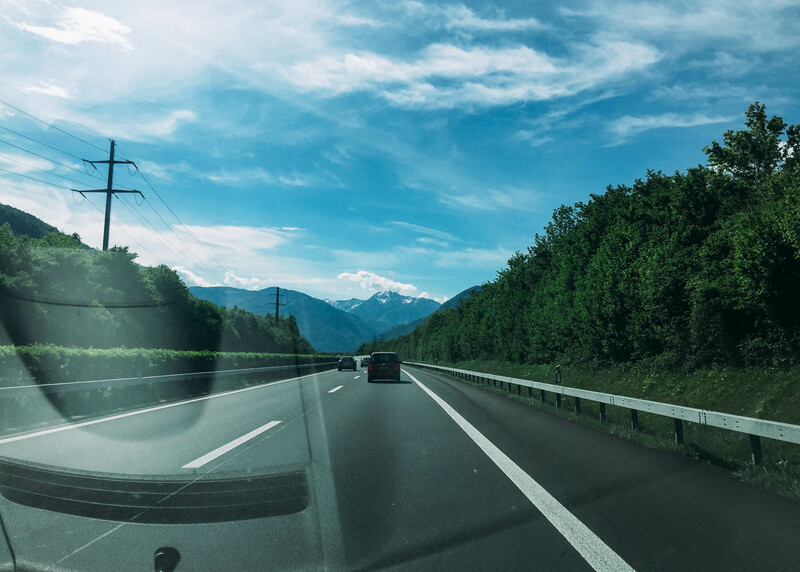 The drive to Varenna from Lucerne was stunning, winding through the Alps and offering picture postcard views of everything I imagined the Swiss countryside to offer. The drive includes a few really long tunnels, so be aware of this if you get claustrophobic. It’s just as pretty when you cross over into Italy and start to approach the lakes. We drove to Menaggio, which took 2.5 hours. And from there we took the short ferry (about 15 minutes) across to Varenna. Most of Varenna is pedestrianised, so we parked on the edge of town in a long-stay car park where we left the car for our two-night stay. It cost €15 per day. 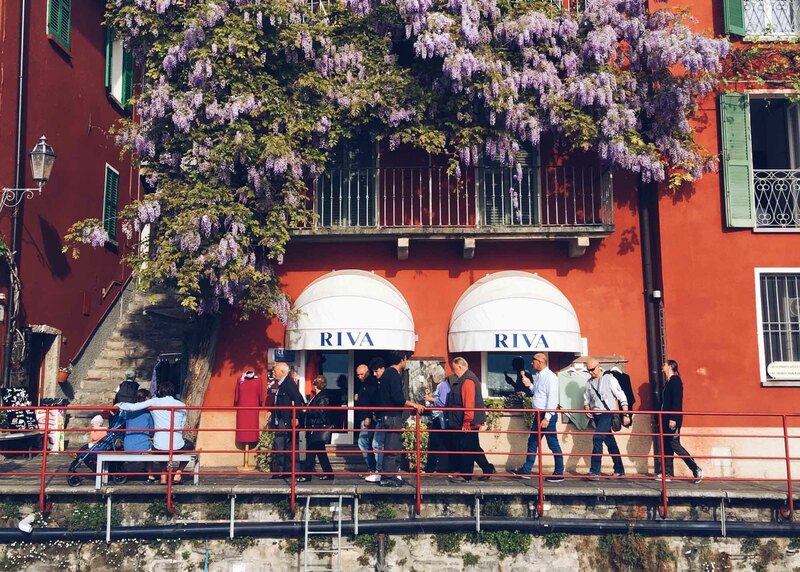 The ferry to Bellagio or Menaggio costs about €5 one-way and takes about 10-15 minutes, leaving around every half hour. Cinque Terre is a dream destination. Just look at those captivating cliffside villages, and you can’t help but wish to see them. Of course, they’re no secret and the towns are filled with tourists, but even with the crowds, we think they’re worth the trip. All of the five villages are beautiful, but each has a different flavour and appeal – Monterosso al Mare has a beach, but it’s setting is less dramatic; Vernazza is widely considered the most stunning, especially when seen from above; Corniglia is high on a hill, very pretty but without a seafront; Manarola is also very photogenic and a popular place to stay; and Riomaggiore, the one with the most local feel, is often described as the most underrated of the villages (so much so that it’s in danger of becoming overrated!). I think it’s worth visiting all five, and that doesn’t take long if you do it by train. You can also walk between the villages on one of two paths, the easier blue route, and the more difficult red option. However, sometimes these paths are closed, so do check beforehand. We arrived around lunchtime and, after checking in, took the train to Monterosso and then walked along the blue route from there to Vernazza, a gorgeous trail with the perfect view of Vernazza at the end. From there, we took the train back to Manarola and spent the evening there. 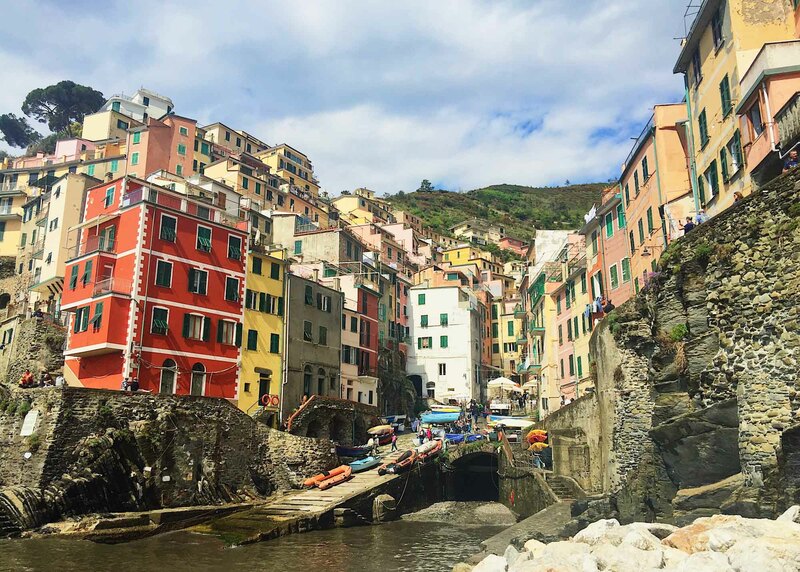 On our second day, we took the train to Corniglia and then walked from there to Vernazza along the blue route, before taking a ferry to Riomaggiore and the train back to Manarola. The trail between Corniglia and Vernazza is also stunning, although if you’re only going to do one walk, I’d choose the one we did the day before. This itinerary didn’t feel rushed and allowed us a good introduction to all five villages. Of course, having longer would be a bonus, so you could get to know the villages more, and try some of the other walking trails. The trail between Vernazza and Riomaggiore, known as The Way of Love (Via dell’Amore) is meant to be stunning, but it was closed when we were there. Cinque Terre is an expensive place to stay and a lot of the places on offer are pretty uninspiring. There’s a surprising lack of design/boutique hotels. However, there are plenty of AirBnB apartments with incredible views across the villages and out to sea. Of course, you pay a premium for a place with a view, but we decided it was worth it. Availability was scarce when we booked, so we stayed in two different places. The first was Acla apartment, a simple but cute cliff-side apartment with a roof terrace that has a perfect view of Manarola and the sea. It cost £120 per night. And our second stay was this lovely, newly refurbished apartment in Manarola that sits above the village and has amazing sunset views. Giovanni, the owner, is happy to help with arranging tours or booking restaurants. The apartment costs from £120 per night. If you use this link to book either of these apartments, you’ll get £25 off your first stay. Seafood is the speciality of the five villages but, seeing as we’re vegetarian, I can’t recommend anywhere for this. 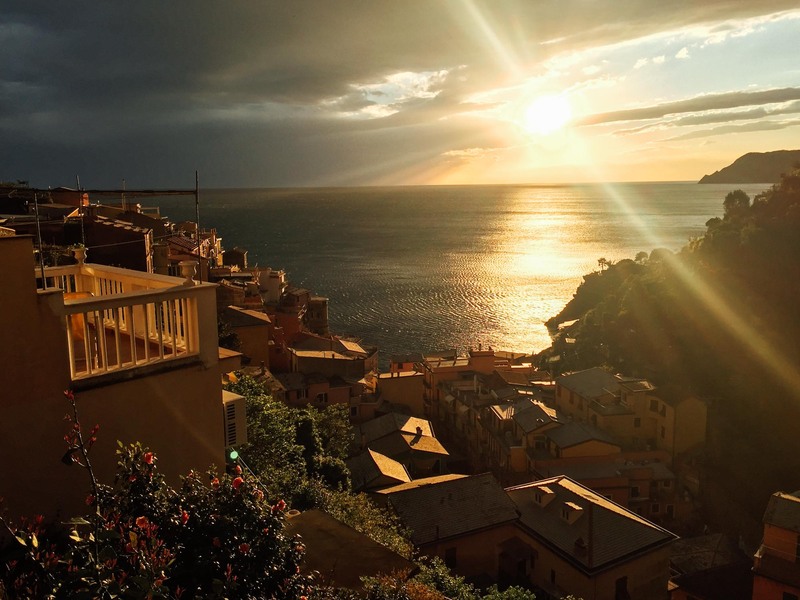 We did, however, have two good dinners in Manarola: one at Trattoria dal Billy, the village’s most popular restaurant, which has amazing sunset views; and another at Il Porticciolo, which serves good pasta as well as being famous for its seafood. If you can, try to get a table at the bar Nessun Dorma for sunset, but this could involve long queues. We didn’t get a table, but still enjoyed the views from the walkway above. There’s a little park there too, so you could bring your own drinks up there instead. We drove to La Spezia from Varenna, which took about 3.5 hours. In La Spezia, we had planned to park in the station car park, but it was completely full. Instead, we parked about a five-minute walk away in the Europa Parking under Europa Square. It costs €15 for the day. From La Spezia, we took a train to Manarola, which took 15 minutes. 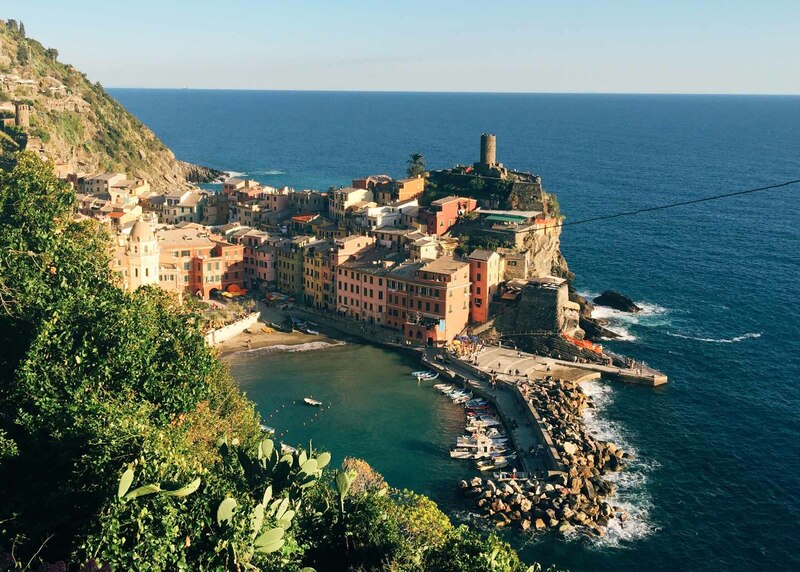 We bought a three-day Cinque Terre train pass, which allows train travel between all five villages and La Spezia to the south and Levanto to the north. It costs €41 for three days. You also need to buy a Cinque Terre Trekking Card if you intend to walk any of the blue coastal trails. This costs €14.50 for two days. The Cinque Terre Insider website gives a good overview of the tickets and why they’re worth it, and when they’re not. 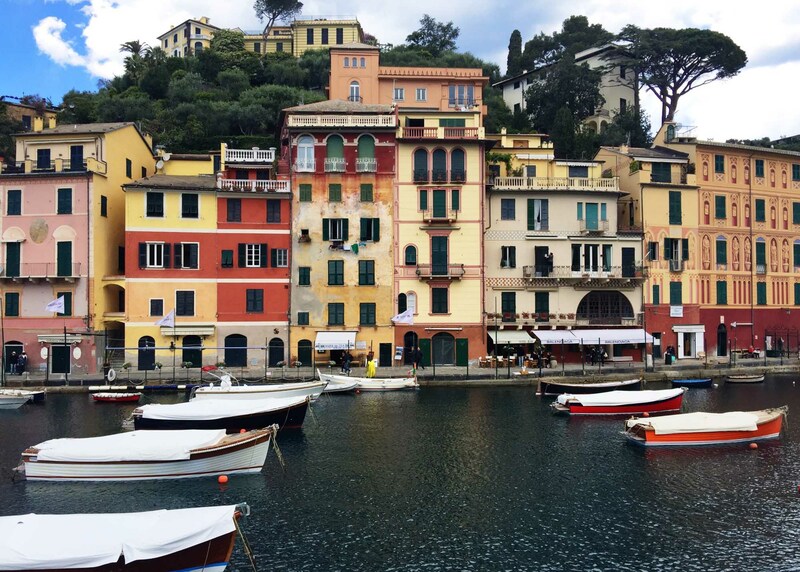 Portofino is well known as a yachting stop for the wealthy, and the little village is filled with fancy boutiques and restaurants. 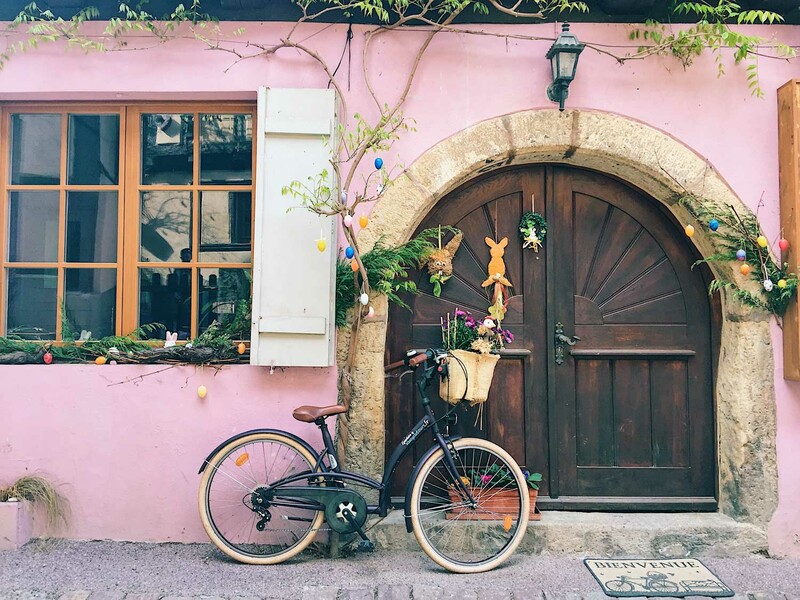 The glitzy side isn’t my scene, but the picture-perfect, colourful village is certainly worth seeing. Accommodation there is expensive, so we stayed in the nearby Santa Margherita Ligure, a town popular with upmarket Italian holidaymakers and famous for its decorated trompe l’oiel buildings. 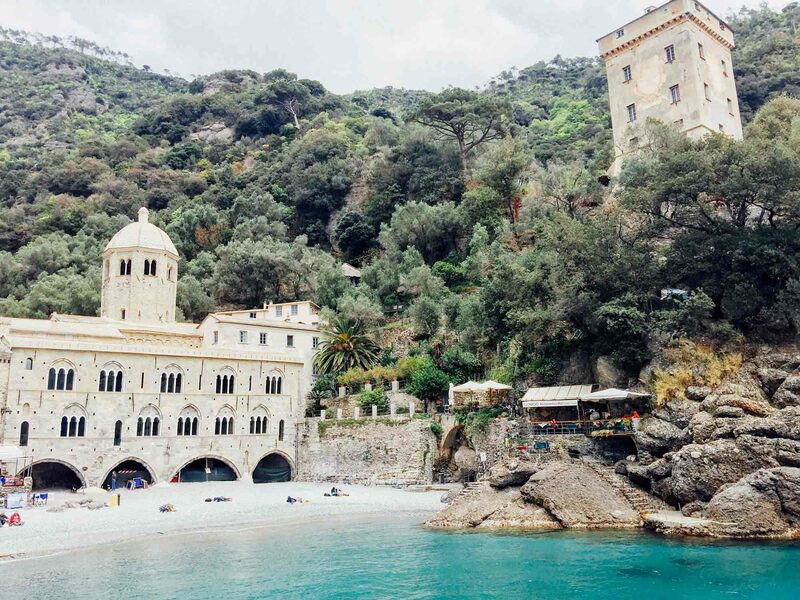 We left Cinque Terre in the morning and, after checking-in to our hotel in Santa Margherita Ligure, immediately took the ferry to Portofino, spending a couple of hours there before getting another ferry to San Fruttuoso, a tiny little bay that’s home to an old abbey. It’s an incredible sight as you round the bay’s corner and see the abbey sitting there on the beach. There’s a restaurant and cafe, and it would be a nice place to spend a day relaxing on the beach. We were short of time, so only stayed for about 45 minutes, in between ferries. Even if you only have this tiny amount of time, San Fruttuoso is still worth seeing. Our friends Simon and Erin at Never Ending Voyage did a hike there from Camiogli, which sounded wonderful. We found a gorgeous design hotel, Hotel Blu di Te, in Santa Margherita Ligure, which was one of the best places we stayed during the whole trip. It’s one of those hotels you just want to hang out in because the design is so perfect. There’s a huge shared lounge, perfect for kicking back with a book and a glass of wine, and that’s also where they serve a decadent breakfast buffet. We stayed there on my birthday, so it was a treat, and it needed to be as a double room costs £240 for a night – but in my opinion, it was worth it. Use this link to get £20 off your first booking with Booking.com. We ate good pizza in Santa Margherita at Pizzeria Il Delfino, and just grabbed a sandwich when in Portofino as everywhere was really expensive. Our breakfast at Hotel Blu di Te was amazing! he drive from La Spezia to Santa Margherita Ligure took just over an hour. For our day trip to Portofino and San Fruttuoso, we took the ferry, which goes between all three. The ferry to San Fruttuoso stops at Portofino on the way, so we bought a return to there, hopping off and on along the way. 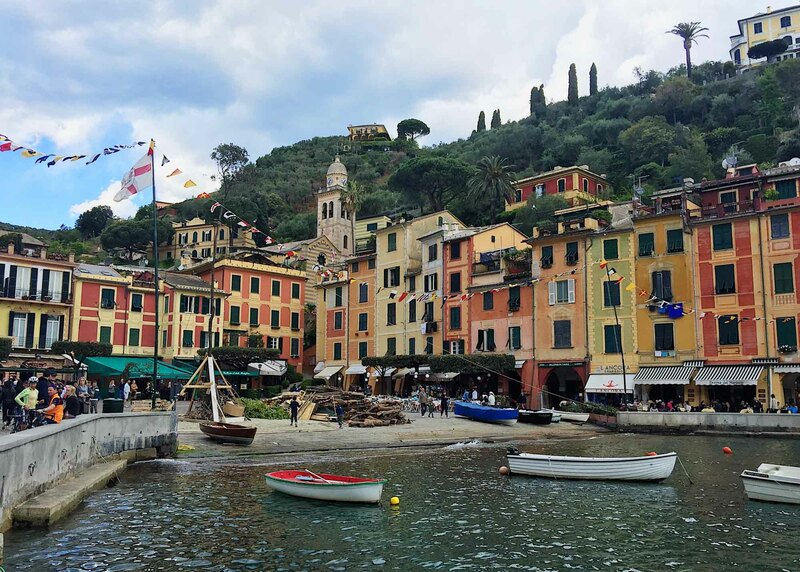 The round trip costs €16 each, and the ride from Santa Margherita to Portofino takes 15 minutes, and from Portofino to San Fruttuoso takes 30 minutes. You can also walk to Portofino from Santa Margherita Ligure, which takes about 1.5 hours and follows a pretty coastal route. 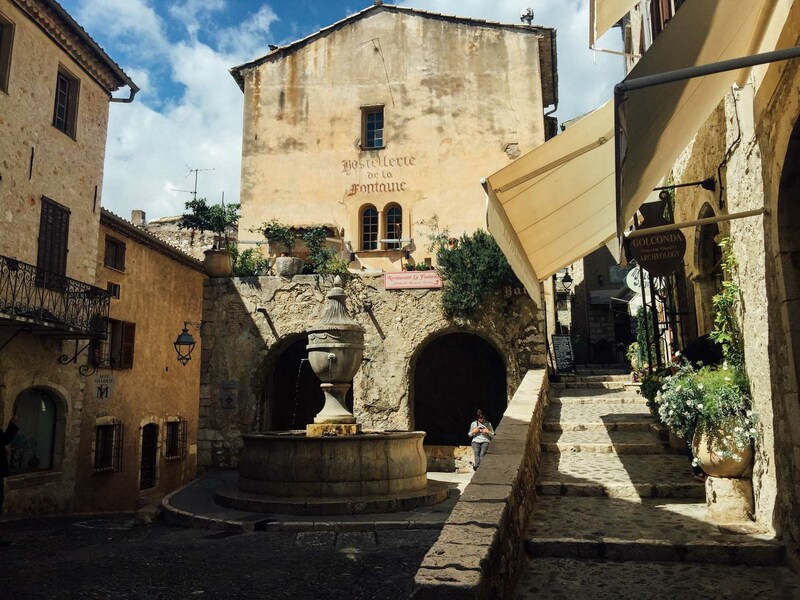 I’d never heard of St Paul de Vence until planning this road trip and was delighted by the discovery. The picturesque, medieval hilltop village has long been a magnet for artists including the likes of Chagall and Picasso. Nowadays, its cobbled streets are filled with interesting galleries and boutiques, creating a wonderfully charming, bohemian vibe. We found it enchanting and spent most of our time simply wandering its streets. 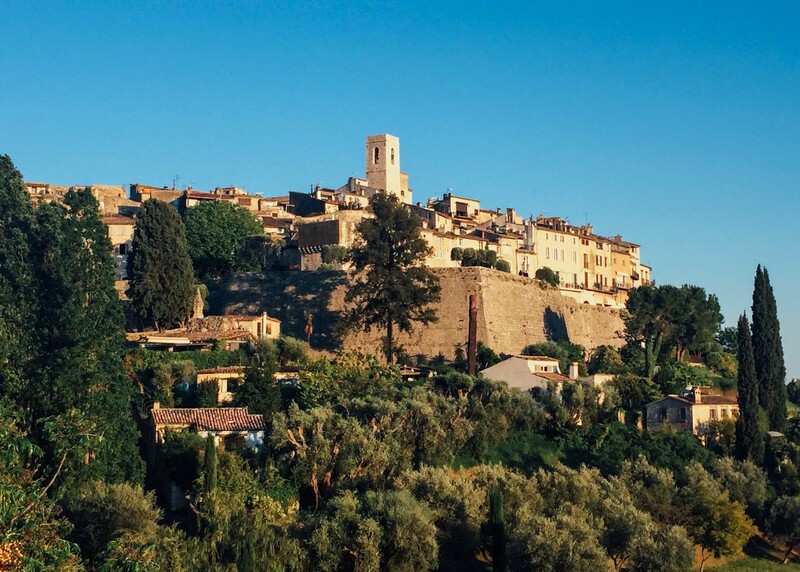 We also took a day trip to Grasse, another hilltop village, this one famous for its perfume. St Paul is by far the prettier of the two. Our hotel in St Paul de Vence was Hotel La Grande Bastide, a romantic spot with a perfect view of the village. It’s housed in an 18th-century country house and has been refurbished in a classic style that feels like a sumptuous home. 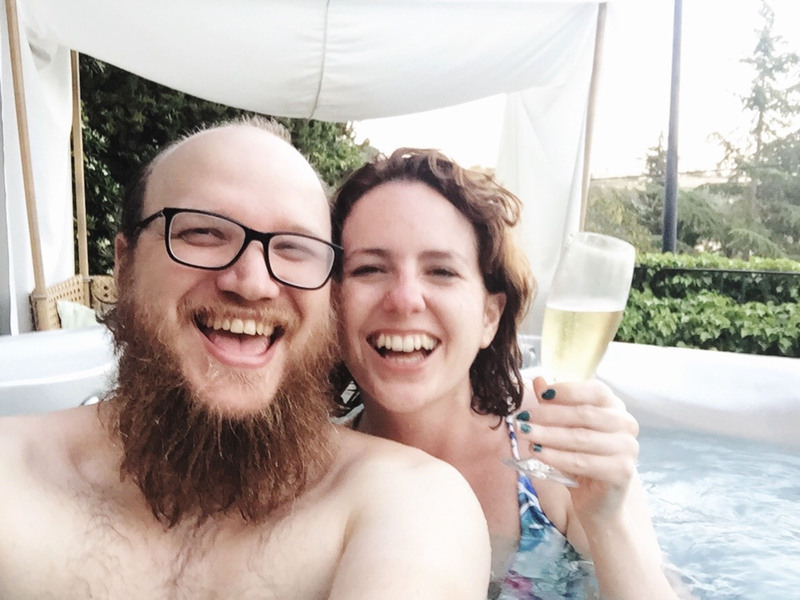 There’s a pool, and a highlight for us was the jacuzzi where we enjoyed an evening with prosecco and beautiful views. Double rooms cost from £140 per night. Use this link to get £20 off your first booking with Booking.com. As we’ve said before, France is pretty terrible for vegetarians, so on one night we just ate a non-remarkable pizza at a low-key take-away restaurant in town. The other night, we ate at Le Tilleul, one of the only places in town that had vegetarian options. The food was great, but quite expensive. If you’re a meat eater and want a treat, then there’s a famous Michelin Star restaurant, Le Saint-Paul. Le Colombe d’Or also comes highly recommended for lovers of French cuisine and features original works of art by masters such as Picasso and Miró. On the way to St Paul de Vence from Santa Margherita Ligure, we stopped in a wonderful little Italian village called Finalborgo where we ate at Ai Cuattru Canti, a perfect little osteria with perfect home-cooked food. The village itself is delightful, and a pleasure to walk around. It’s well worth the stop. The journey from Santa Margherita Ligure to Saint Paul de Vence is just under four hours. The final part of this is along a beautiful stretch of road, taking in the start of the French Riviera. We stopped twice: first in Finalborgo for lunch, and then in Monaco. We drove through Monaco out of curiosity and only stopped briefly to take a walk along the waterfront and ogle at the super yachts. For our final day, we had one goal: to get from St Paul de Vence to Marseille, where we’d catch the train back to England the next morning. 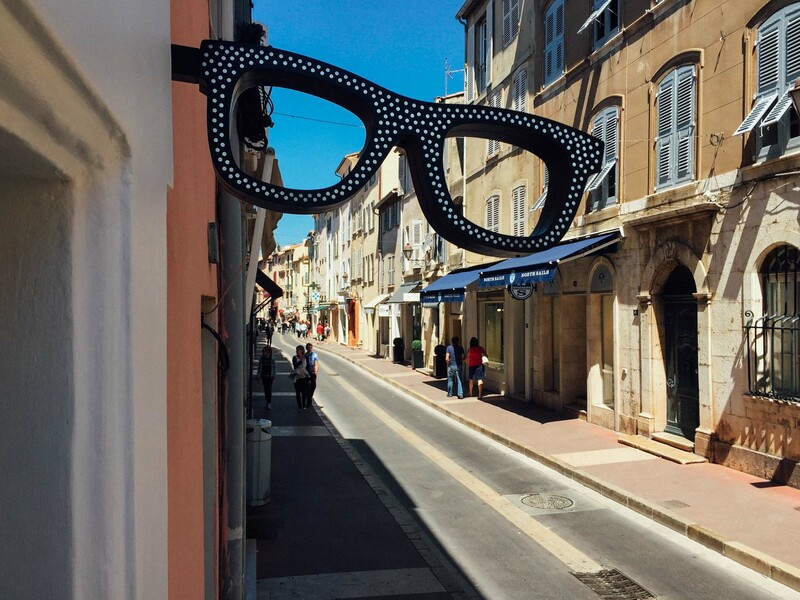 If we’d taken the quick route, the journey is under 2.5 hours, but instead we took a scenic route, stopping in Cannes for breakfast, St Tropez for lunch, and Cassis for ice cream. 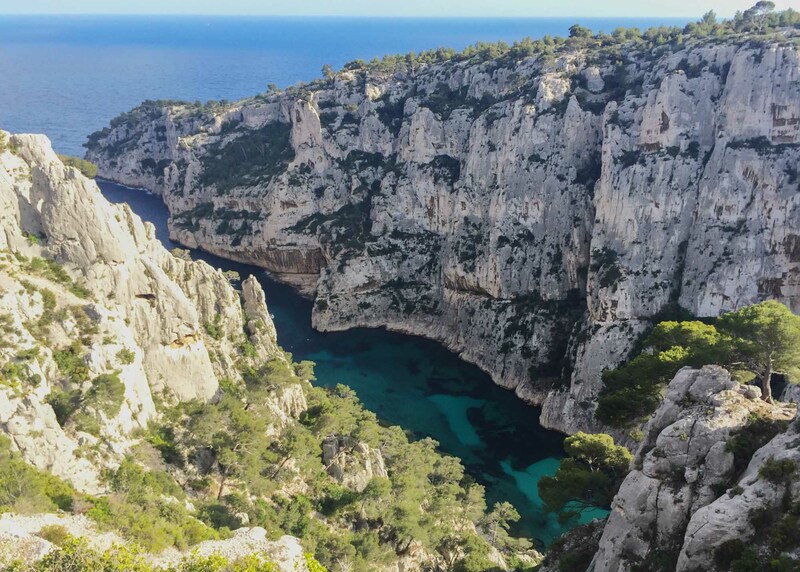 We also went on a short hike in the Calanques National Park, which I didn’t know about beforehand and was amazed by. It’s a 20km stretch of sheer cliffs, giving way to turquoise waters with little beaches in-between. The colour of the water and the magnificence of the cliffs is a natural wonder that draws climbers and tourists alike. I’d love to go back to explore some more. And as for the other towns, I found Cannes underwhelming, but St Tropez was very pretty and Cassis was the most charming of all. 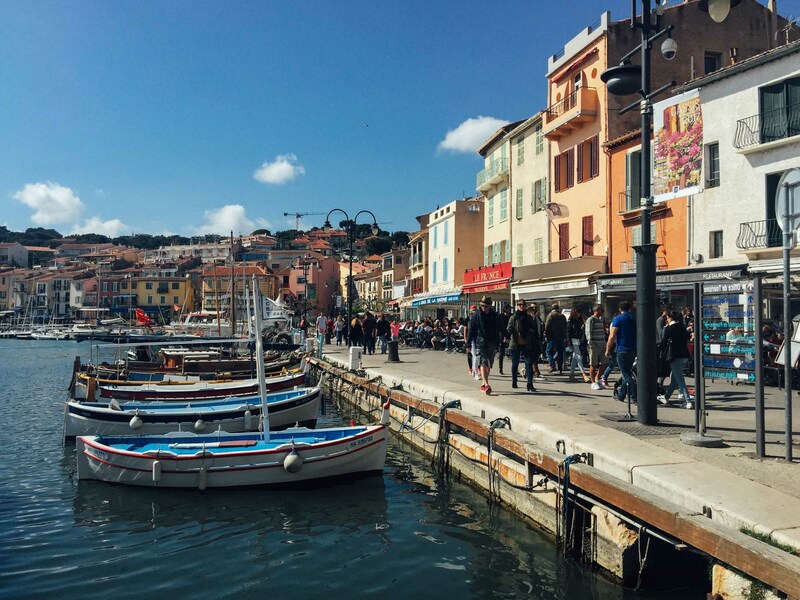 To save time, you could just stop in Cassis or St Tropez to get a taste of riviera life. We arrived into Marseille quite late, so only had time to eat dinner and didn’t explore at all. For out final night in Marseille, we needed somewhere simple that was convenient for the station because we had an early train to catch the next morning. We found this modern apartment hotel, Residhome Marseille Saint Charles, just five minute’s walk from the station. It was comfortable, clean and reasonably priced, so exactly what we were looking for. A double room for one night cost £60. Use this link to get £20 off your first booking with Booking.com. We stopped for breakfast at Lenôtre in Cannes, which served a good pastry and coffee. For lunch, we ate a picnic from the St Tropez market, and in Marseille we had dinner at a Lan Thai restaurant . Our drive from Saint Paul de Vence to Marseille took all day because we stopped so many times, but the short and direct route would have been under 2.5 hours. We did try driving along the coast from Cannes to St Tropez, but the road is alongside the seafront and the views weren’t great (unlike the route from Monaco to St Paul de Vence), so we decided to take the quicker route along the highway. In Marseille, we returned our car, so didn’t need to find parking. If you’re planning a trip, be sure to check out our travel planning pages. 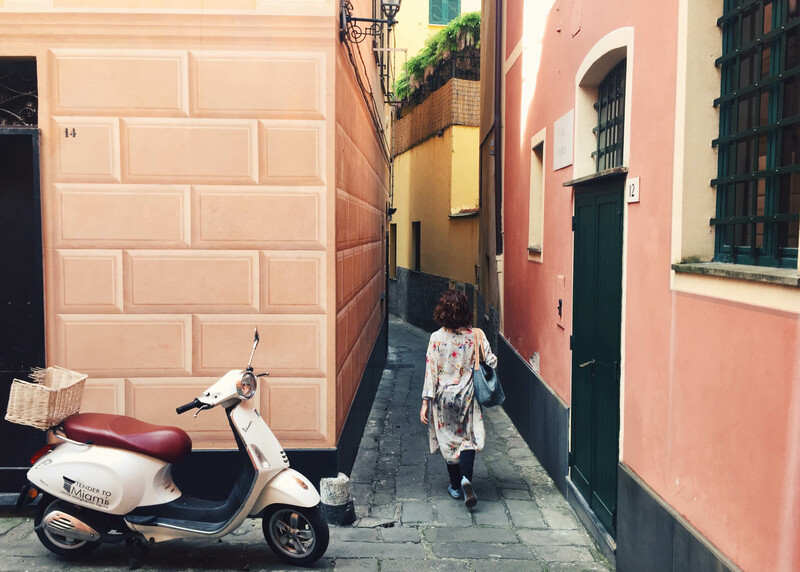 We also have full, detailed itineraries for a three-week road trip in Italy; How to relax in Goa and Kerala; The ultimate South Africa honeymoon guide; How to make the most of 10 days in Japan; Finding hygge in Copenhagen, and 48 Hours in Dublin. See all our itinerary posts here. Great pictures guys! I can’t even decide which location to go to because they all look awesome! Congrats on the new little one coming along by the way! Wow – what a beautiful trip! I’ve just booked an escape to Cinque Terre in May but am now dreaming of adding more of these destinations on. That’s what happened to me – I kept adding extra places! Have a great time! Hi Victoria – this was a really useful article. 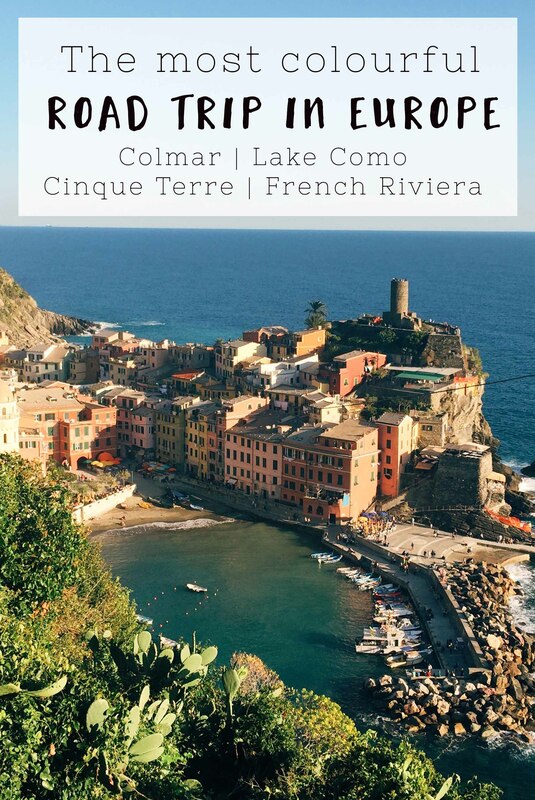 We spent some time in France and Italy last year but missed Cinque Terre and the Riviera. I would like to get back and see some more and also to spend some time in Switzerland. We loved Varenna and stayed up the road in Bellano. We also spent some time near Monaco and did a day trip to St Paul Da Vence. Lunched at Le Tilleul which was memorable. Lovely! I’d really like to go back to lots of these places too! Oh my gosh, I just want to copy everything you did on this trip – it looks amazing! And that accommodation in Lucerne, OMG. Yep, that place was amazing! I highly recommend it! Hi Hessica, I’m afraid I have no idea about biking in Switzerland. It sounds amazing though – sure it’ll be a wonderful way to take in all the scenery. Enjoy! I’m so inspired by your blog – it’s amazing. I’m wondering if you could do something very similar only by rail? Or is a car a real advantage? I’m also wanting to add Tuscany in lieu of French Riviera (I think). Also – did you originate in England? I’m in the US – so I’d have to account for airfare. Hi Janet, so pleased you found it inspiring! I did start in England, and I’m afraid I’m not that familiar with the railways, so can’t offer that much help on that. I would suggest using the site Rome2Rio, which gives details on how to get from one place to another via all different types of transport. I think it probably is possible by rail as the trains are really good in all those countries. The one thing I would say is that the drive from Lucerne to Lake Como is stunning, but then the train journey probably is too! Good luck with it all! And happy travels! waao really informative. i would love to go in a car or can you please tell me about rail or any other options. Wow! I’ll surely be adding these places and itineraries in my bucket list! Those places look so instagrammable, and oh the vibe! Ugh, would really love to travel there someday. 3- Is Milan a good place for shopping ? 2. I’ve included all the drive times in the post, so that should give you an idea of the pace. We didn’t find it hectic, but if you only have two days in each country then it might be harder. 4.I’m afraid I don’t know the answer to this specific question, but I’ve included food costs in the post. 5. I’m not sure as the weather varies greatly in Europe. I suggest doing a search for average weather temp on Google. This is very helpful! Thank You!- What time of year was this, or would you recommend?